A good solid neutral-but-not-invisible shade. Morgana seems to be best known for the brighter, more colorful shades that she does so well; but she doesn't do too many neutrals. The shade is similar to other colors, especially drugstore makeup, so you may be thinking…why would I pay this much money for a lipstick? Because it lasts all day, folks. It doesn't all come off on the glass lip the first time you drink something. It doesn't blot away to nothingness. It doesn't slide around on your lip until it's all migrated into a cocoa-colored line. It. Stays. Put. I got full coverage with one coat, but not one stroke. (Let me explain. No, there's too much. Let me sum up.) With neutrals and shades that are very close to my lip color, I will often apply with shorter strokes…so that I have a better idea of where the product is going. 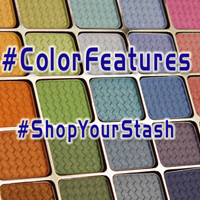 With bolder colors like Strayin' or Raspberry or Azalea Blue, I *know* where those colors are going. They're kind of hard to miss. Even with shades like Coraline's Kiss or Viva Glam Cyndi, I can clearly see where the product is, and if I need to do any touching up. With super-light shades, or with near-neutrals, I have to pay a bit more attention when applying. (That may just be a practice-thing, though. Two years ago I could apply eyeliner rapidly, or well…but not both. It would take me as long to apply my eyeliner as it would to do two coats of mascara. I've gotten a bit better now. Maybe it'll be the same thing with lipstick.) Another plus to this lipstick instead of a similar drugstore shade is that this is vegan. If you're at all concerned about preservatives, phalates, carmine, or parabens in your lipstick…check this one out. 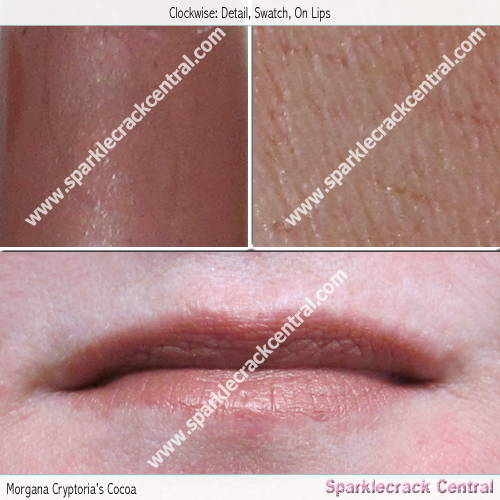 Similar to Bare Escentuals' 100% Natural lip sticks in terms of lacking some of the harsher chemicals, it gives you as much product for a lower cost.